Master the transition to the era of intelligent machines. Together. How will modes of working, collaboration and organizational structures chance with the rapid advancement of artificial intelligence and robotics? 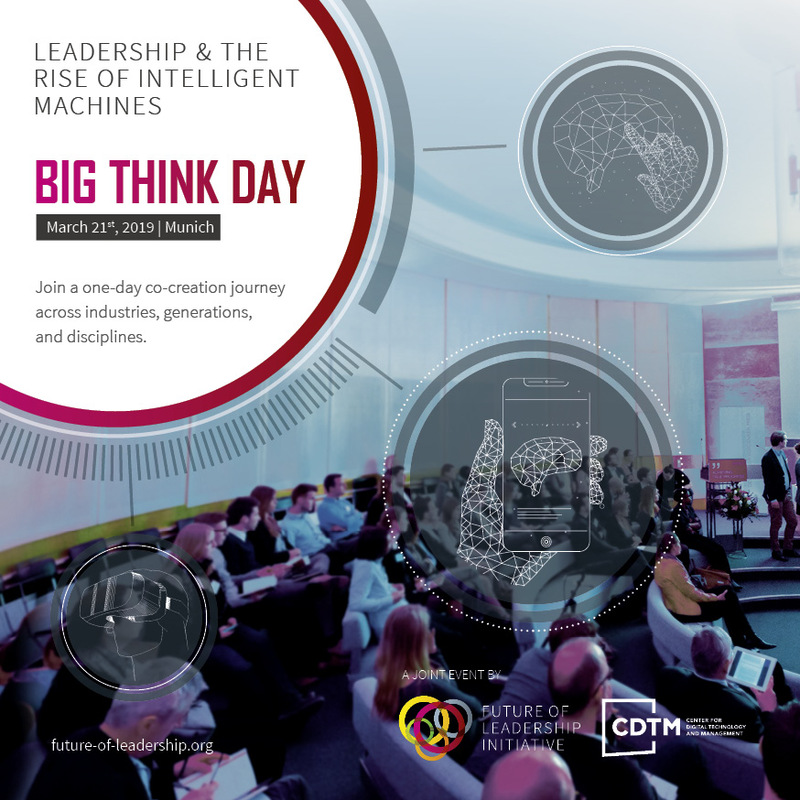 How can leadership empower people to master the transition towards a new age of intelligent machines? Our goal: To develop a joint vision of how intelligent machines will impact the future of individuals, businesses, and society. With your participation, you contribute to the Think Tank activities of the Future of Leadership on: “Yes, Mr. Robot! – Leadership and the Rise of Intelligent Machines”.